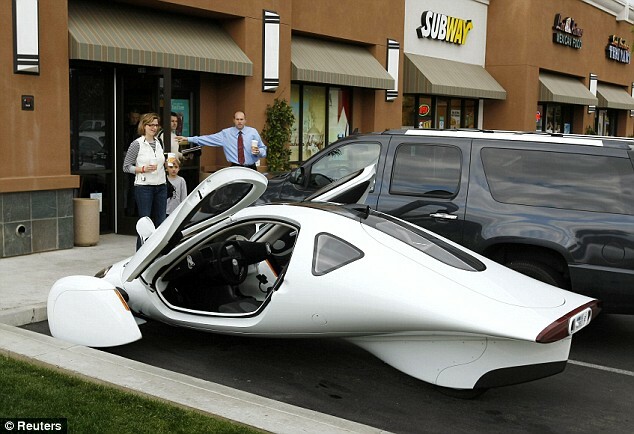 Thousands of miles west of Detroit, a California start-up hopes to find a market for a three-wheeled, ultra-efficient, downright odd-looking car among consumers sick of spending their hard-earned cash at the petrol pumps. Looking more like an aircraft than a road vehicle, it is a far cry from the hybrid saloons and electric sports cars being produced by conventional automakers. 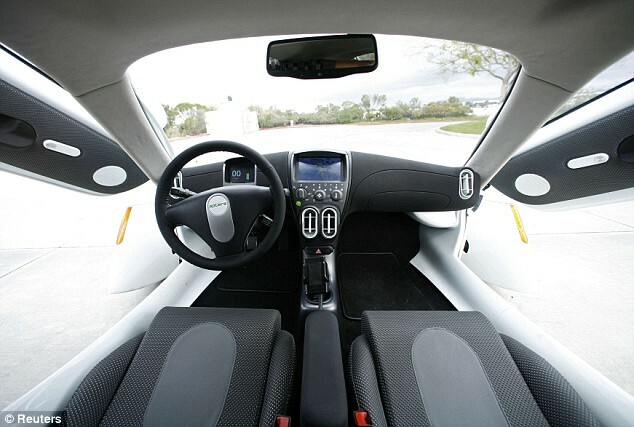 Riding in the all-electric version of the Aptera feels similar to a regular car, although its roof-attached doors make getting in and out a challenge. Its long shape provides extra legroom and the car runs with a tinny, high-pitched hum. To the executives behind the vehicle, its aerodynamic design and 100 miles per gallon (42 km per litre) range points the way to the future. And, with 4,000 customer orders already, they believe they have the early following to back up that confidence. 'We have a breakthrough level of energy efficiency which really means you are going to save so much money on operating costs,' Aptera Chief Executive Paul Wilbur said in an interview at the company's headquarters and vehicle assembly facility in Vista, California. Like Tesla Motors, Fisker Automotive and ZAP, Aptera is one of a handful of young, West Coast-based companies making cars that, unlike the sport utility vehicles that have been integral to the U.S. auto market in recent years, save oetrol and global warming emissions. Automakers, however, have a track record of overpromising and underdelivering when it comes to new technology. Tesla, for instance, ran into a series of cost overruns and delays rolling out its electric Roadster. General Motors Corp, meanwhile has said that its highly-anticipated Volt plug-in will be a low-volume money-loser when it comes to market in late 2010. Fuel efficiency is harder to sell than it was last summer when gas prices hit records. As gasoline prices have fallen, so have sales of premium-priced fuel efficient cars such as Toyota Motor Corp's Prius hybrid. Aptera's makers are still shopping the car as a money saver despite an initial price tag of between £18,000 and £28,000, depending on whether buyers want an electric, hybrid or traditional powertrain. 'It doesn't matter if gasoline is $2 or $4 a gallon, you are still going to be buying a lot less when you buy our vehicle,' Wilbur said. Aptera will begin shipping its all-electric vehicles to customers in the fourth quarter of this year. 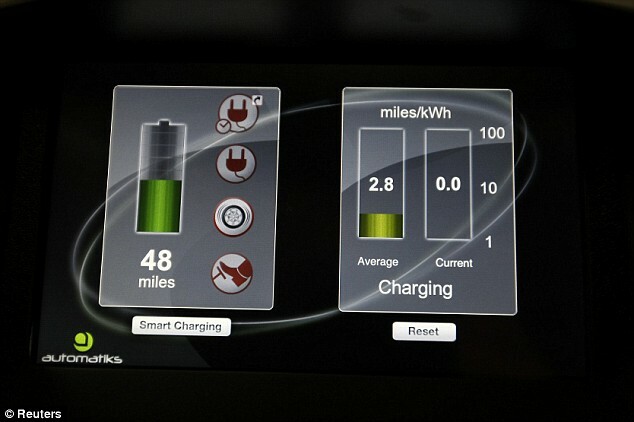 The electric version has a 100 mile range per charge and can be recharged by plugging into a regular electric outlet. The company plans to make about 10,000 cars a year initially, increasing to 100,000 in the next few years. Ultimately, it will employ several thousand people at its facility just north of San Diego, Wilbur said. Consumer research Aptera performed at the end of last year led the company to believe it will be able to sell many more cars than it originally thought. 'We walked in with one mentality about our what our volume estimates might be, and quite frankly were very happy and surprised and even a little overwhelmed by how positive the reaction was,' Wilbur said. To fund the production rampup, Aptera is actively seeking new investors. The company's early investors include company incubator Idealab, Google Inc's philanthropic arm and Esenjay Petroleum, and Wilbur said the company has more than enough money to meet its fourth-quarter production target. But the U.S. federal government declined to invest. 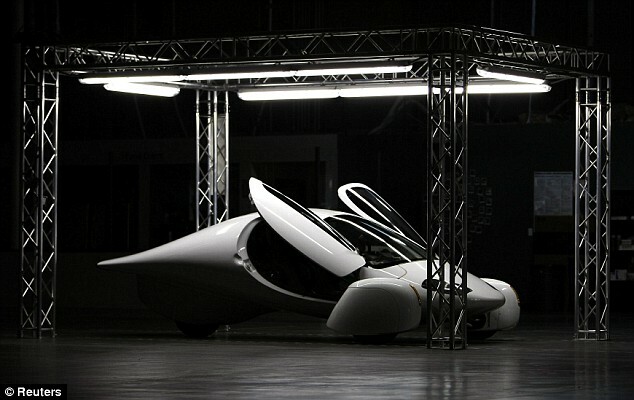 Because of its three-wheeled design, Aptera was excluded from participation in a Department of Energy program that extends low-interest loans to manufacturers of fuel efficient cars. 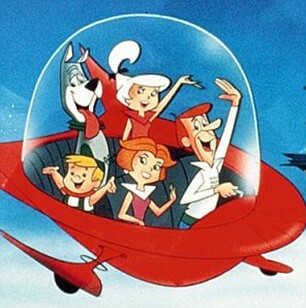 Disappointed company officials said they were producing exactly the kind of car President Barack Obama advocated. Aptera aims to have fulfilled its first 4,000 orders by the middle of next year, Wilbur said. 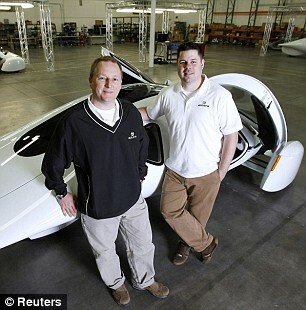 Its first customers are mainly tech-savvy, educated, affluent men who will use the Aptera as a second or third vehicle.